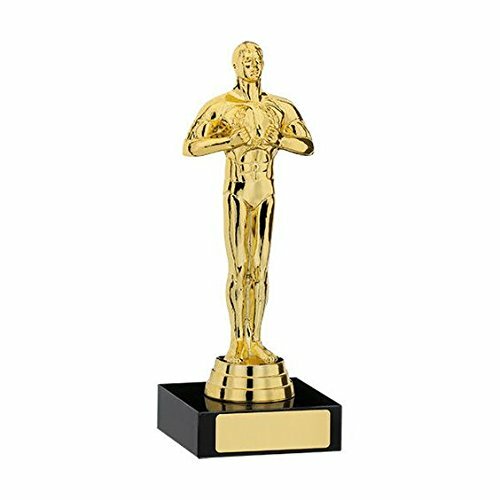 Oscar awards, achievement trophy, the figure mounted onto a marble base with an engraved plate attached and included in the price. 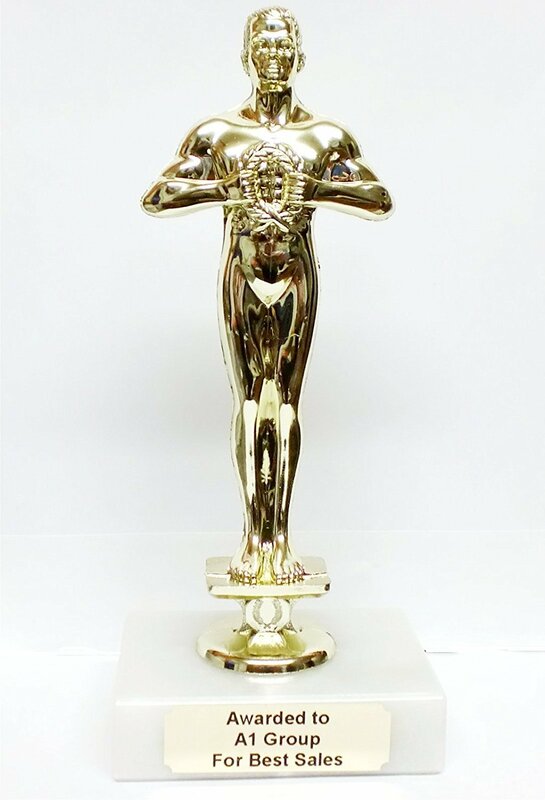 Available in 2 sizes, 7 inch and 9.25 inch high. Choice of a white or black marble base.